By strategically attaching lift bags to items that are too heavy or too bulky to move, for example outboard engines, it is possible to lift items from the sea bed to the surface. The bigger the bag and the air bubble inside, the more weight it can lift. Each litre of gas in a bag will lift a kilogram. Aqua Elevation has always manufactured lift bags. 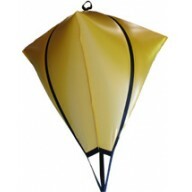 They are available in many different sizes from 25kg to 1000kg bags. 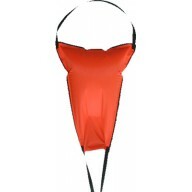 Traditionally bags are available in red, high-visibility yellow, blue or white and can be manufactured to include attachments and strapping. CALL US TO BUY. 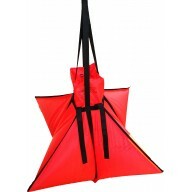 This 1000 kg pyramid/diamond style lift bag is made from high quality heavy duty .. This 125 kg pyramid style lift bag is made from high quality heavy duty PU and comes with continous .. This 150 kg pyramid style lift bag is made from high quality heavy duty PU and comes with continous .. This 250 kg pyramid/diamond style lift bag is made from high quality heavy duty PU and comes with co.. This 500 kg pyramid style lift bag is made from high quality heavy duty PU and comes with continous .. 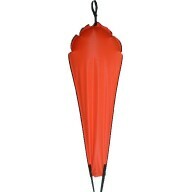 Manufactured from the same high quaility PVC as our lift bags and uses 2" polypropylene stropes, sup.. This 90 kg pyramid style lift bag is made from high quality heavy duty PU and comes with continous 1.. This 25 kg lift bag is made from high quality heavy duty PU and comes with a 1" polypropylene strop .. This 35 kg lift bag is made from high quality heavy duty PU and come with a 1" polypropylene strop f.. This 45 kg lift bag is made from high quality heavy duty PU and comes with a 1" polypropylene strop .. This 75 kg lift bag comes in two styles and is made from high quality heavy duty PU or PVC and comes..